Perfect your complexion with By Terry's Cellularose CC Serum; a colour-control elixir that delivers brightening, moisturising and correcting properties to rejuvenate dull skin. Enriched with White Rose Stem Cells and antioxidant Vitamin E, the lightweight, quick-absorbing formula enhances luminosity and provides long-lasting protection for a lit-from-within finish. Innovative light-reflecting technology effectively minimises the appearance of fine lines and imperfections, whilst promoting a radiant glow and a smooth, even skin tone. Blends seamlessly onto lack-lustre skin to leave your complexion looking bright, flawless and refined. 'Immaculate Light': Perfect for redness and dark spots on porcelain skin. 'Rose Elixir': A light pink iridescent shade to brighten fair skin tones. 'Apricot Glow': Smooths and illuminates light to medium skin tones. 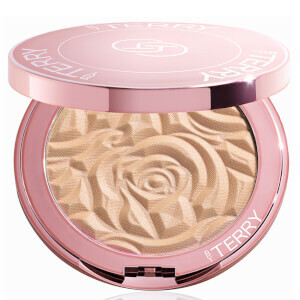 'Sunny Flash': A bronze hue for darker skin tones and a sun-kissed glow. Apply to the contours of the face with the tips of your fingers and blend in a circular motion to create a seamless effect. Layer to enhance the overall radiance. Mix shades together for customised colour correction. Aqua, Glycereth-7, Bis-PEG-18 Methyl Ether Dimethyl Silane, Dimethicone, Butylene Glycol, PEG 7 Methyl Ether, PEG-32, Nylon-12, Boron Nitride, Cyclomethicone, Dimethicone Crosspolymer, Glycerin, Lecithin, Tocopherol, Acrylates/ Palmeth-25 Acrylate Copolymer, Phenoxyethanol, Chlorphenesin, Methylparaben, Ethylparaben, Parfum/ Fragrance, Polymethylsilsesquioxane, Sodium Styrene/Acrylates Copolymer, Potassium Hydroxide, Benzophenone-4, Cyclotetrasiloxane, Helianthus Annuus (Sunflower) Seed Oil, Potassium Sorbate, Xanthan Gum, Geraniol, Papain, BHT, Citronellol, Rosa Alba Flower Extract, 1,2 Hexanediol, Caprylyl Glycol, Carbomer, Rosmarinus Officinalis (Rosemary) Leaf Extract, Eugenol, Algin, May Contain (+/-):, Mica (CL 77019), Titanium Dioxide/CI 77891, Iron Oxides ( CI 77491), Bismuth Oxychloride (CI 77163), Iron Oxides (CI 77492), Iron Oxides (CI 77499), Tin Oxide (CI 77861), Carmine (CI 75470). Save 20% on By Terry. Discount has been applied to the RRP. Offer valid for a limited time only. This moderately shimmering and covering serum gives the face a beautiful glow and evenness effect and smells beautifully. I loooove what this product does to my skin! The basic shade is not as good as the sunny ones though. This serum is stunning. I was apprehensive at first as it wasn't the cheapest but I am impressed. I got the apricot glow and it is perfect for when you have a light tan on. 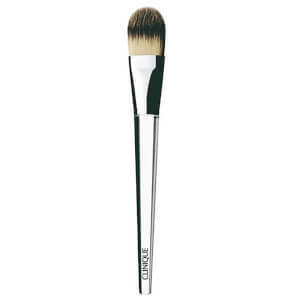 It leaves a gorgeous glow to the skin and definitely corrects redness. I would definitely repurchase even though it is expensive, definitely worth the money.